At VBCCM, our faculty is committed to educational excellence. Our faculty members received their medical training in both TCM and western medicine. We have a creative mixture of faculty memberstrained in China and in Canada, both offering invaluable contributions to our educational system. Dr. Li, Wenpei has 30 years of clinical and teaching experience. He graduates from Beijing University of TCM. He holds a Master Degree in USA, a Dr. TCM license of B.C. Canada, and an Acupuncturist license of California, USA. R.TCM.P Zhifang Yuan holds a Ph. D from He Bei University of Medical Sciences in China. He is a Licensed Pharmacist in China. He has more than 15 years of teaching experience. R.TCM.P Zhang, Shurong has more than 20 years of clinical and teaching experience. 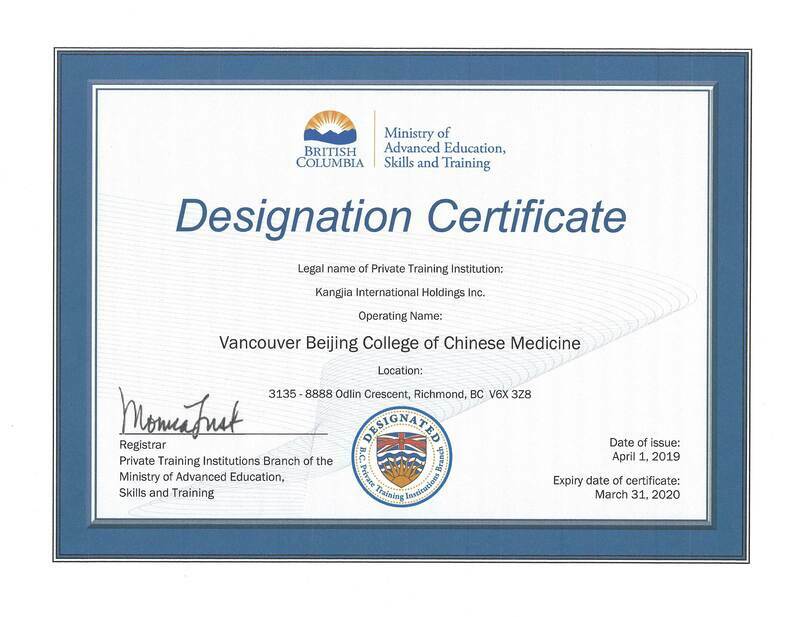 She holds a Master Degree from Tianjing University of TCM in China, and a TCM Practitioner license of B.C. Canada. R.TCM.P Li, Yanmei holds a PH.D from from Academy of Traditional Chinese Medicine of China. has more than 10 years of working experience in clinic and teaching at Tianjin University of TCM, China. more than 30 years of teaching experience. R.TCM.P Feng, Chao has more than 10 years of clinical and teaching experience. He graduates from Tianjin University of TCM in China. He holds a TCM Practitioner license of B.C. Canada. R.Ac. Wang, Qian has more than 10 years of clinical and teaching experience. She graduates from Capital University of Medical Science in China. She holds an Acupuncturist license of B.C. Canada. R.TCM.P Zhang, Lan has more than 10 years of clinical and teaching experience. She graduates from Beijing University of TCM in China. She holds a TCM Practitioner license of B.C. Canada. Ms.You, Chunyan graduated from Fracture and Trauma of Traditional Chinese Medicine of Heilongjiang University. She has more than 10 years of working experience in Hospital of Traditional Chinese Medicine. ​R.Ac. Li Haiming is a graduate from our school. He holds a Master degree from Tianjin Nankai University. He studied Chen-style Tai Chi from the college in Chen village. With experience practicing nearly 20 years of Tai Chi and Qi Gong, he is also the head coach in the BC White Rock Tai Chi & Qi Gong Club. R.TCM.P Ling, Rachel graduated from McGill University in Canada. She holds a TCM Practitioner license of B.C. Canada. Dr. Li, Yuanchao has 30 years of clinical and teaching experience. She graduates from Beijing University of TCM.